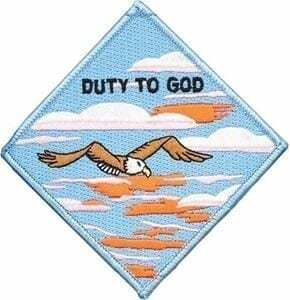 The purpose of this “Duty to God Promotion Patch” is to encourage youth and adults to learn about, promote, and participate in the religious emblems programs. 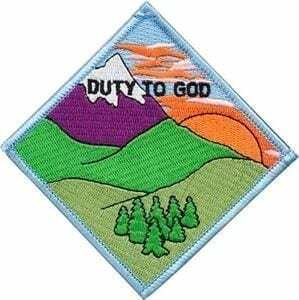 Mountain patch is earned after the anchor (Scout kneeling) patch. 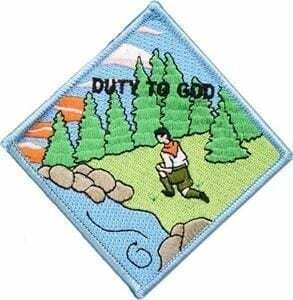 Both youth and adults may earn this patch. Requirements are detailed at https://www.praypub.org/duty-to-god. 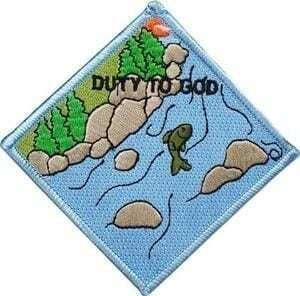 A person from any religious background may earn this patch. 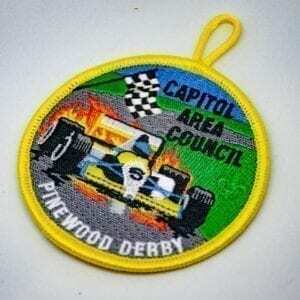 The patch can be worn as a temporary patch on the button of the right shirt pocket.